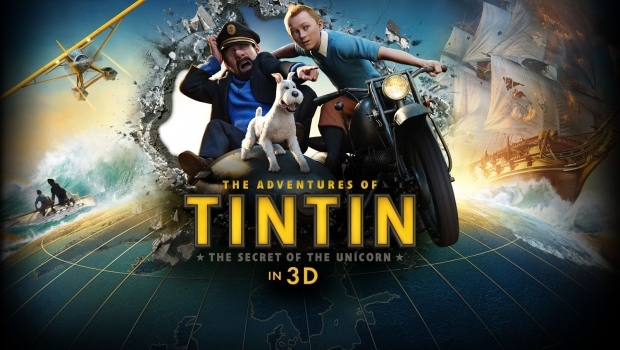 Tintin has been all the fame in my youth and the boyish adventures, the mysteries to solve and even the SciFi elements when going to the Moon, reading Tin Tin was magically, especially in my pre-“I like girls” phase, since that area is completely vacant within the pages of the book. But you can overcome that. This is an older setting, an older world and to have books and series with only men, make it even more fun to select the different characters: the hero, the silly hero, the villain, the clumsy mess-makers, the helpers, the funny and the determined. 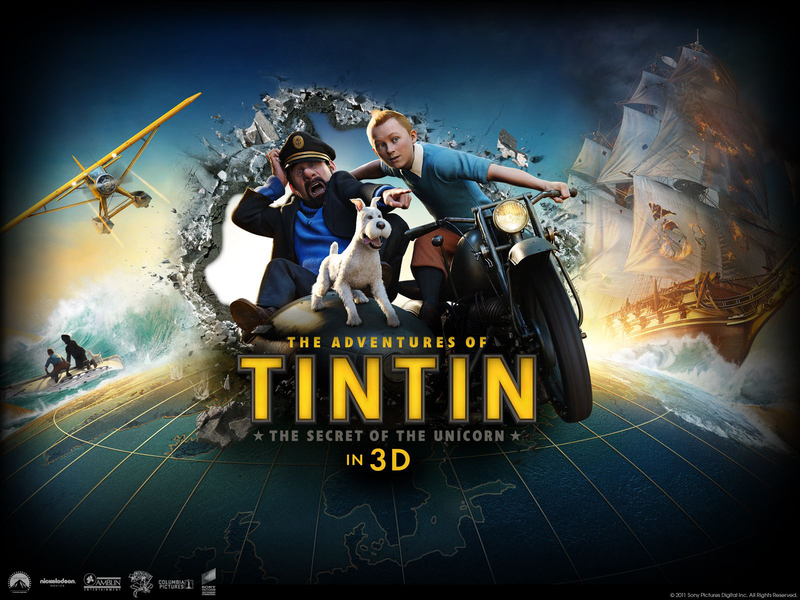 When Spielberg took over the Tin Tin legacy, I was pretty psyked and I have to admit I did like the movie, as well did my kids who actually have no Tintin-legacy to speak off. When looking more into the making of this movie and you see the motion-capture animation turning the characters in some robotic versions of real-life, you actually wish for the movie to MAKE A CHOICE. It would have been better that scene would be great if it were drawn, or very impressive if it were real. The marionette-feel is something that does not go away very soon and that makes looking at this a tad unsettling, although my kids never are interested in the making of the movie, just watching it! And the story is worth looking at, for sure. From the wide-open ocean to the sandy dessert, from the sky in a plane to riding a bike through a city, the mystery is unravelling in an amazing pace. And Tintin would not be Tintin without a little extra story added into the bigger picture, and the hidden lair of a thief, with a library of every wallet he has ever stolen, is just hilarious! C4S verdict: Tintin on the big screen is worth the look with your kids, if you can get past the awkward movie-making.